Lab 1  Quartus II and PLDT-2 Tutorial 1 This tutorial will center on a calendar logic network in which January is encoded as M 8 M 4 M 2 M 1 = 0001 2 , February as 0010 2 , through December as 1100 2 . 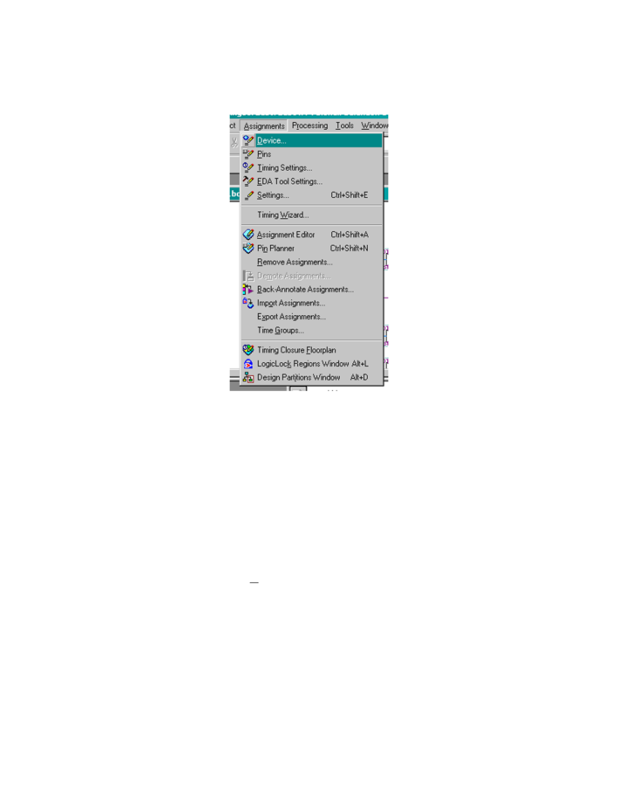 On the desktop find the Quartus II icon and double click. Figure 1 Quartus II Icon This will force Quartus II to open and a window similar to Figure 2 to appear. All work within Quartus II is done in a project. The project can be a single level or multiple levels or hierarchical. The first project will be a single level, but subsequent projects will be hieratical. 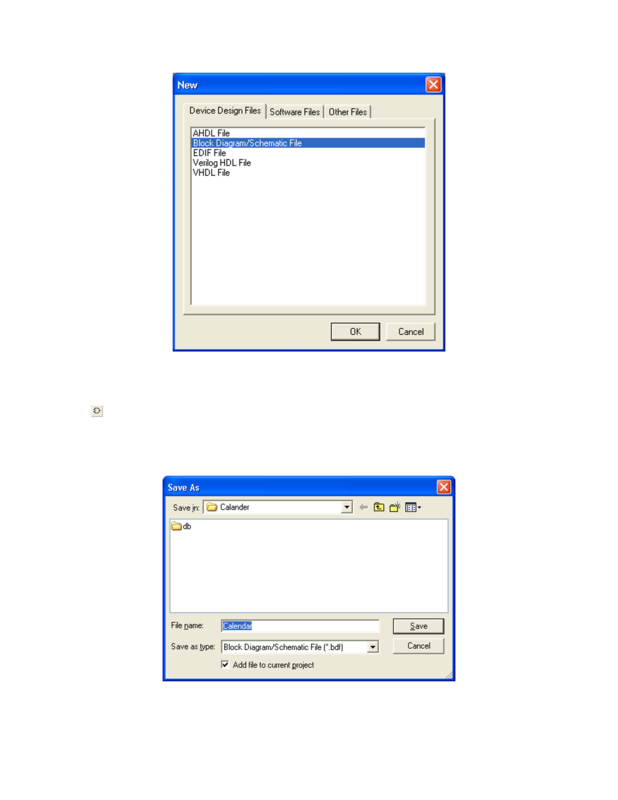 Figure 3 File Menu On page 1 of the wizard, the subdirectory for the project is specified. In Figure 4 the directory is specified under the subdirectory _ ou should use LAB_MON LAB DAY. Y for Monday through LAB_FRI for Friday. It is requested that you create a subdirectory structure under the above-mentioned directory. In this case the subdirectories Lab01 and then Calendar were created. Also, specify the project name and the top-level filename. All other files in a hierarchical design will fall below this level. In this project there will be no files below Calendar. You may click past page 2 of the wizard because no file has yet to be created for the project. On page 3 of the wizard the device to be programmed is specified. The PLDT-2 has the Altera MAX EPM7128SLC84-15. This device is in the MAX7000S Family. The 128 in 7128 indicates there are 128 macro cells; each one contains a single flip-flop. The S indicates that the device can be reprogrammed in place on the printed circuit board using a low voltage programming process. The LC indicates the device is in a LCC or Leaded Chip Carrier package (sometimes called Leadless Chip-Carrier). The 84 indicates that the package has 84 pins, which infers that there are in the range of 84 Input/Output pins. The -15 is the speed rating of this particular device. The -15 indicates that the nominal delay from input to non-registered output is a maximum of 15 ns. You will select the specific device because this is the only device provided for you. But a practicing engineer might select auto, and let the device grow as the design becomes bigger. Figure 4 Project Wizard Page 1 Select the MAX7000S family and then the EMP7128SLC84-15 device. You should click through the last two pages and then select the Finish button. ground on one of the unused pins, we don’t want to burn it out. To set unused to input in tri-state, select Assignments and then Device. 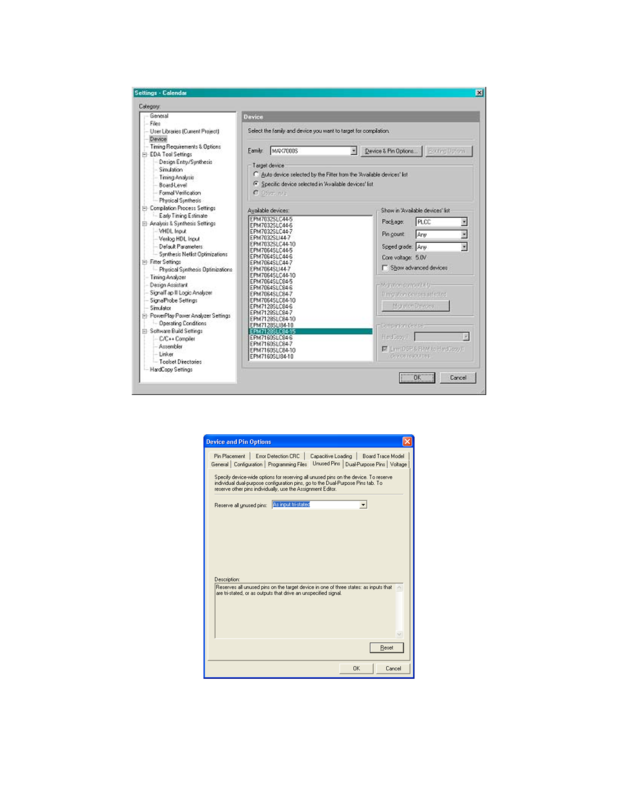 See Figure 6.
. Then complete the dialog box. Save your files in the previously created subdirectory. Now enter your design. 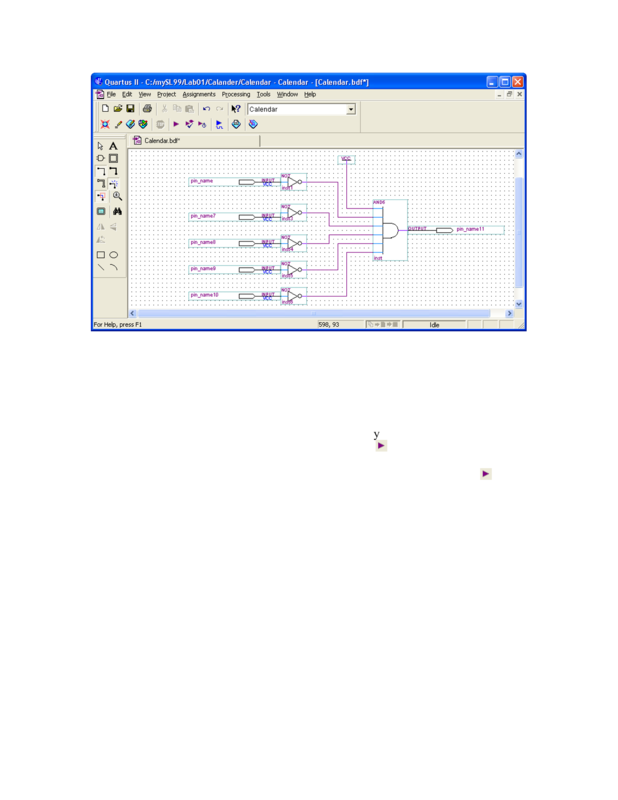 Figure 9 Block Diagram/Schematic File Select the AND gate symbol on the left boarder of the Calendar.bdf window, see the icon . Then traverse the file tree to C:/altera/72sp1/quartus/libraries/primitives/logic. We want a 5-input AND gate to implement the d28 function discussed in chapter 1 of Contemporary Logic Design, 2 nd Edition. See the associated handout. The closest thing in the library is the and6 or six-input AND gate. Select the and6 device and place it on the sheet by selecting the OK button. Place it on the sheet by clicking the left button. Then click the right button and select cancel. Do not place it too close to the left edge because a row of input pins and inverters (not gates) will be added. Figure 11 Symbols After placing the and6 gate, place 5 not gates on the schematic. Then place 5 input pins. The input pins are in the pin library, not the logic library. Place an output pin on the and6 output. Since we only need to use 5 of the 6 inputs, you might decide to let one input float. Rule one of logic design is to NEVER allow an input to float. Therefore we will add a VCC or logic-1 signal to one of the inputs. We will learn in the lecture portion of the course that this will not affect the output of the AND gate. VCC is under primitive/other. 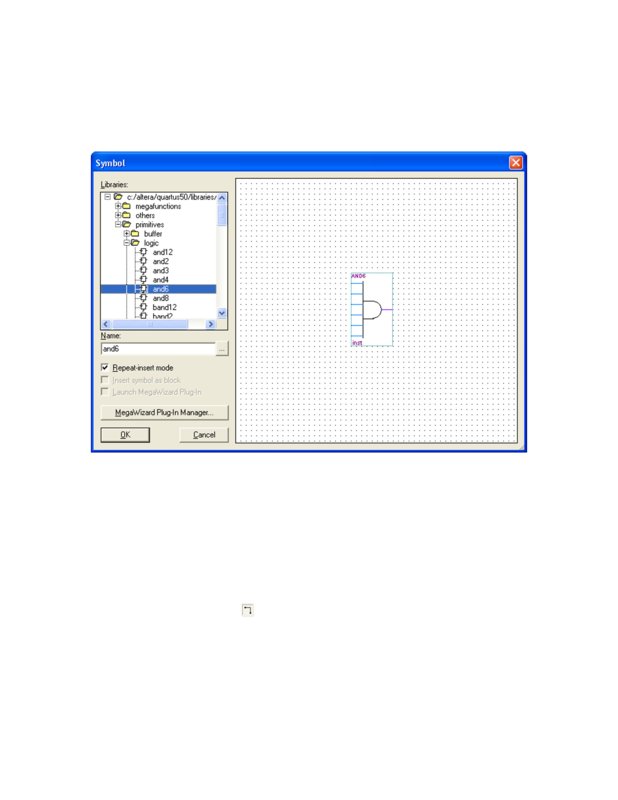 Now select the wire icon, two icons below the AND gate icon on the left border of the sheet. The icon looks like this . After the gates, I/O pins, Vcc and wires have been placed; the schematic should look similar to the one shown in Figure 12. Note there are two wiring errors in this figure. One is a missed connection, and the other is an invert or NOT gate that should not be present. If you don’t catch them now, they will be detected later on in the design, simulation and programming process. Figure 12 D28 Schematic It now would be a good time to compile the Calendar.bdf file and look for errors and warnings. As an example when I first compiled the file I found that I had not connected pin_name8 to inst4. It was close but no cigar. I corrected the error and it compiled. There are four different ways to start a compilation. One, ou may select the Start Compilation on the tool bar. The start compilation icon is . Two, you may use the accelerator Cntrl-L. Three, you may select Start Compilation under the Process menu. 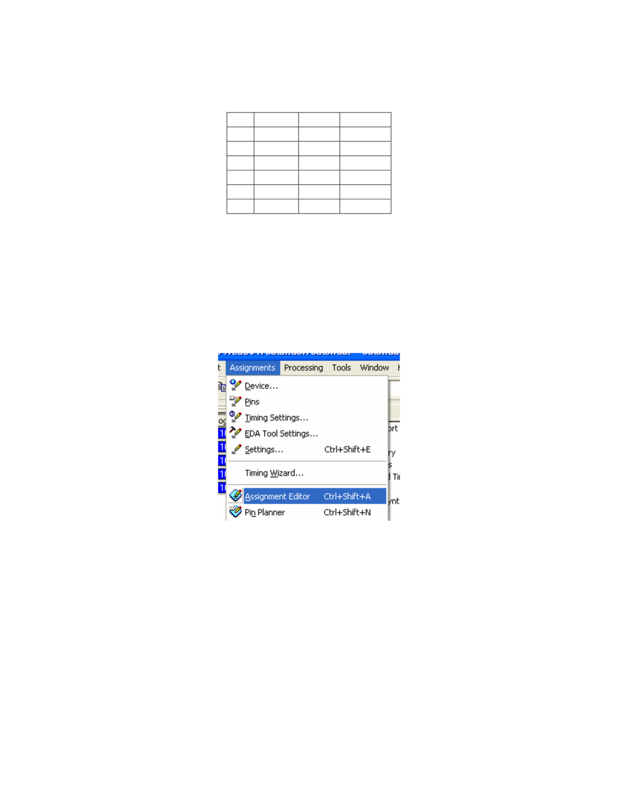 Or four, you may select Compiler Tool under the Processing menu. I prefer the icon. Either way Quartus II performs and Analysis and Synthesis which check for errors and if none are found it converts the design to equations. Next the fitter is called that maps the equations to the selected device. The third step converts the equations to a programming file by performing and assembles. The last step is to perform a timing analysis. Repeat the edit and compile process until there are zero errors and zero warnings. The fitter placed the equation in the device based on timing constraints. But you must also be concerned about assigning the input and output pins so that they work with the switches and LEDs of the PLDT-2. Table 1 I/O Pin Assignments Pin Type Name PLDT-2 34 Input LEAP S1-1 33 Input M8 S1-2 36 Input M4 S1-3 35 Input M2 S1-4 37 Input M1 S1-5 44 Output D28 LED1 Use Quartus II to assign the pin names as shown in Table 1. To assign names select a given pin and then right click and select Properties. Under properties, type in the new name, and then select OK. After all six I/O pins have been named, then recompile and click through each message by selection YES. Now assign pin numbers. There are several ways to assign pin number but we will only cover one method. Under Assignments menu select the Assignment Editor submenu. See Figure 13 for the access to the Assignment Editor. 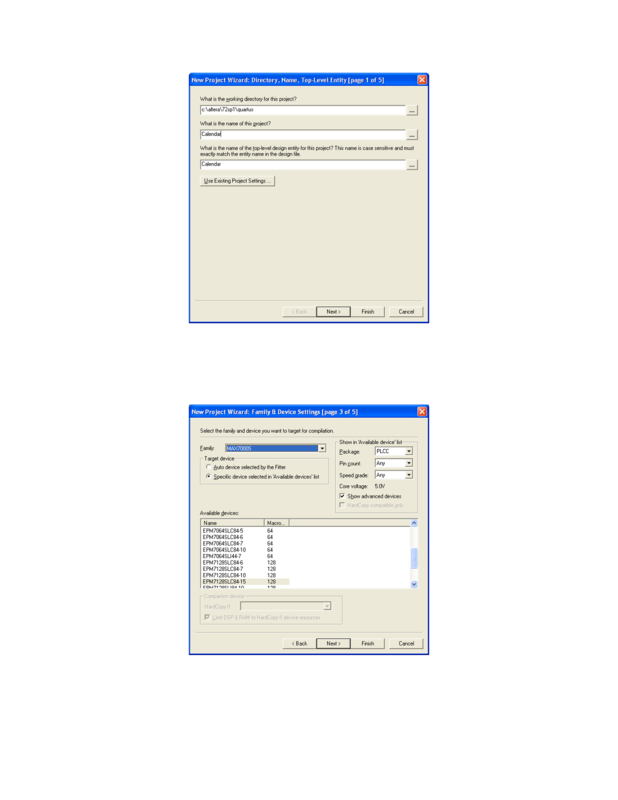 Figure 14 Edit Cell Submenu After all, of the assignments the edit window should look similar to Figure 15. The To and associated Location are important, but their row number is not important. I assigned them in alphabetic order. But numeric pin number order is just as valid. As is a random order as long as the To and associated Location are correct. * 100 ns = 3200 ns. We use 2 5 = 32 since there are 5 inputs  LEAP, M8, M4, M2, and M1. We will make each step 100 ns. To do a functional simulation we must next create a test vector file. 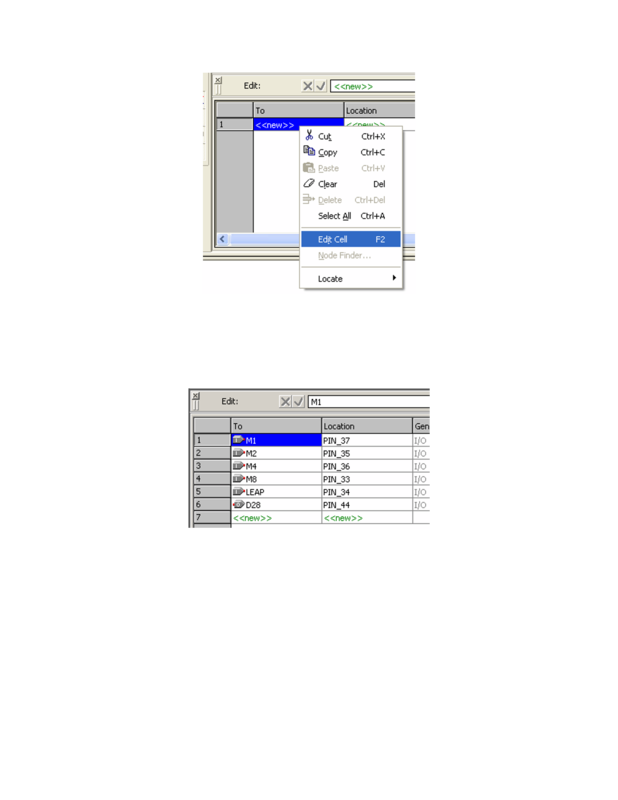 Under File menu select new and then go to the Other Files tab and select Vector Waveform File and then OK. See Figure 16 for the correct tab and file type. button should be selecte d. A second dialog box will pop open and you should select List. You should now select the >> button. If you are successful, the dialog box should look similar to Figure 17. Click OK and continue. 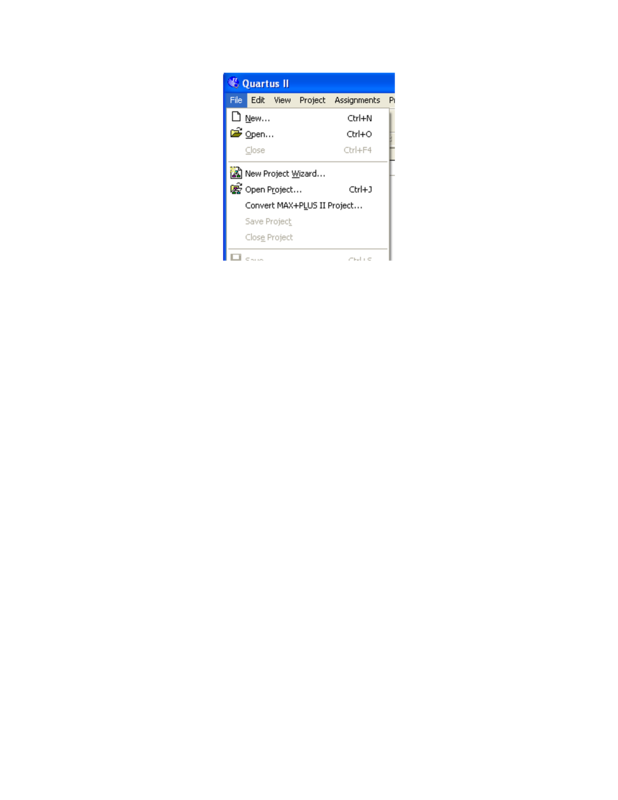 This the Node Finder dialog box will close and you will see the Insert Node or Bus dialog box reappear. Again select OK. The output waveform will be crossed hatched and the input will all be at logic-0. We must edit the input waveforms. Select M1 and edit this waveform. The waveform edit icons will appear on the left edge of the window. With M1 still selected, select the Count Value icon that looks like .